Comprehending a text successfully is influenced by many factors. Texts will be easier to comprehend if learners are able to identify these essential factors. This study was aimed at recognizing the effect of using prior knowledge in economics and cohesion devices in comprehending business English texts. 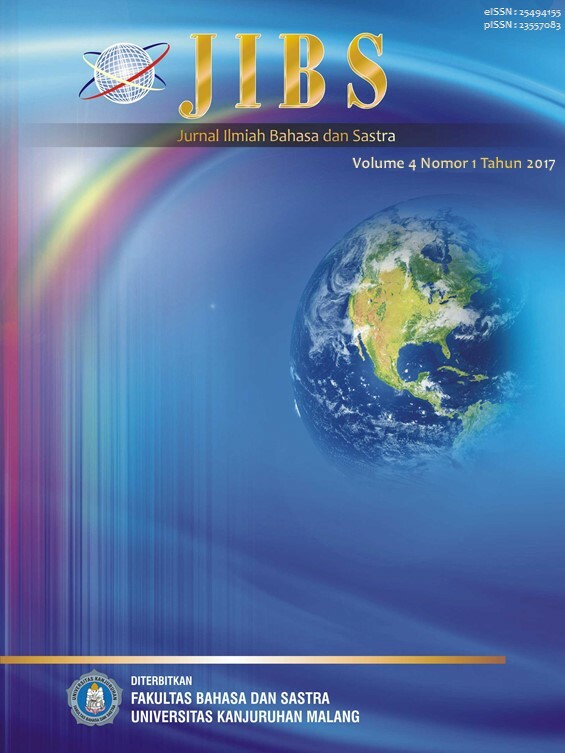 The research was conducted in Faculty of Economics and Business, Perbanas Institute – Jakarta. 75 students as respondents were selected using two stage cluster random sampling. Then three tests for all variables were given to the respondents. The data was used for analysis using SPSS multiple regression analysis. The result revealed that (1) prior knowledge in economics significantly influenced reading comprehension in business English text (2) the mastery of cohesion devices significantly influenced reading comprehension in business English texts (3) simultaneously both prior knowledge in economics and cohesion device mastery significantly influenced reading comprehension in business English texts. Fachrukrozie Kodri, M.Pd. is an English lecturer/Lector at Faculty of Business and Finance, Perbanas Institute, graduated from S2 program majoring in Language Education, Jakarta State Univesity/Universitas Negeri Jakarta. Carrel, P. L. and J. C. Eisterhold (1983). "Schema Theory and ESL Reading Pedagogy" in TESOL Quarterly. 17, 553-573. Ehrlich MF. The processing of cohesion devices in text comprehension.In Psychol Res. 1991;53(2):169-74. Laboratoire de Psychologie Expérimentale, CNRS URA 316, Université René Descartes, Paris, France. Mallik, G., Lodewijks, J., 2010. Student performance in a large first year economics subject: Which variables are significant? Econ. Pap. 29 (1), 80–86. Moreillon, Judi. ( 2007) Collaborative strategies for teaching reading comprehension : maximizing your impact . Chicago: The American Library Association. Nunnan, David (1993). Introducing Discourse Analysis. London: Penguin Book Ltd.